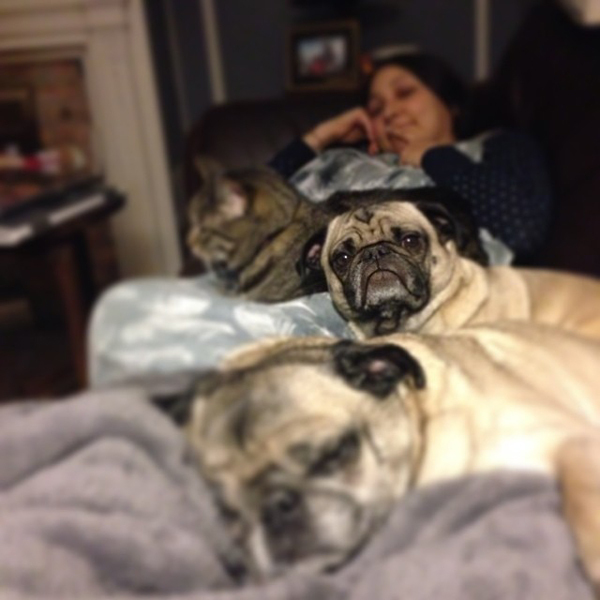 The long winter is making the pugs more sluggish than usual. 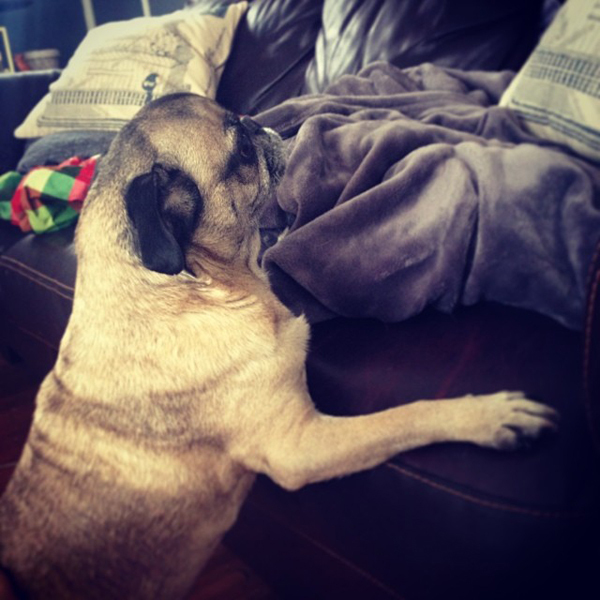 Oscar can hear the couch calling to him. Sometimes they all pile on. Or squish together. It's all about comfort and staying warm. 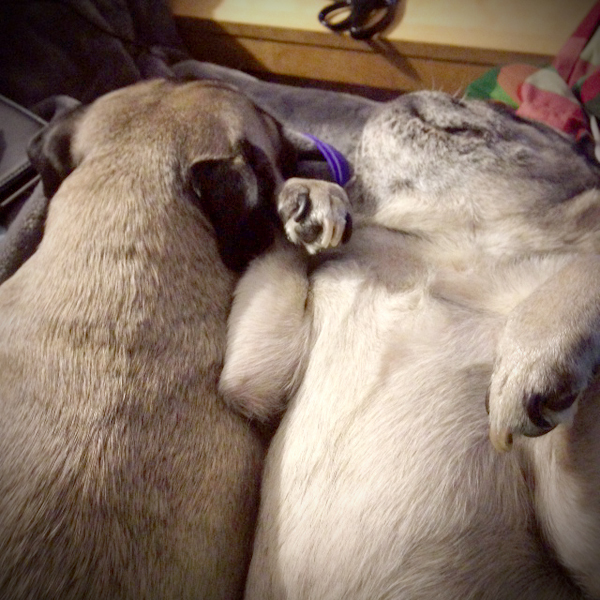 sleepy pugs are the best!